Rent a lakefront vacation home in a town with two harbors, a vibrant community with nearby Knife River and Lakeview National Golf Course. Stop by to visit the lighthouse too. Cliff Point is a family friendly Lake Superior vacation home near Two Harbors, MN. 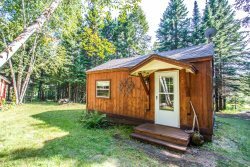 Falu Hus is an adorable pet friendly vacation home located in Two Harbors, only a two minute walk to the lighthouse and many local businesses in town. Highway 61 Revisited is a spacious vacation rental home located on the shore of Lake Superior between Two Harbors and Beaver Bay, MN.